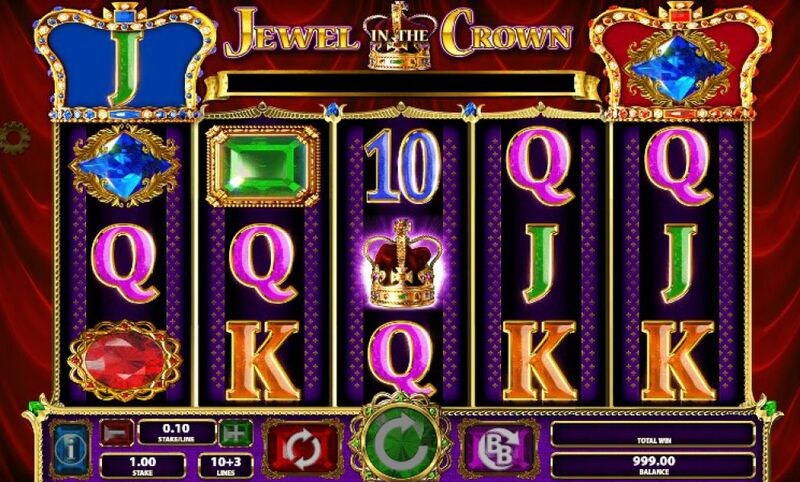 Jewel in the Crown slot is a Barcrest-developed game with a fairly obvious theme (the clue is in the name). The game is presented with a a backdrop of a velvet drape, with symbols of fine jewels along with the standard A, K, Q, J and 10. 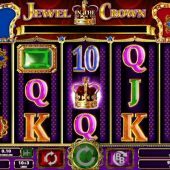 The Crown symbol is the scatter, 3 of which on reels 2, 3 and 4 will activate the Free Spins feature giving you 10 free spins. During the feature the symbol in the blue Crown will turn Wild and symbol in the red Crown will turn Mega Stacked. Should the symbols in both the blue and red Crowns are matching, then they will turn Mega Stacked Wilds for the remainder of the feature. You can earn more free spins during the feature, with up to 8 extra free spins available. Along with other Barcrest slots like Rainbow Riches Fortune Favours, the game comes with a Big Bet feature.This feature has a number of effects, such as increasing the RTP of the game and also adding extra features to the game, however it comes at a cost with bet sizes increasing depending on the Big Bet feature you choose. Jewel in the Crown slot is a very middle of the road type of slot. There is a chance to win up to 500x your bet on a single spin with this medium volatility game, but you are certainly punished for playing low to medium stakes. To explain this, the return to player (RTP) for the Big Bet feature is 98%, but is right down at 94% for under 2 coins per spin. If you wager over 2 coins then it’s 96%, which is more respectible, but I am not a fan of intensified wager increases. If you like this type of slot then you may also enjoy Crown Jewels and Grand Casino.